THIS ARTICLE IS COPYRIGHTED FOR MUCUSLESS-DIET.COM. ALL RIGHTS RESERVED. According to Dr. Ray Sahelian, author of the Stevia Cookbook, there are several hundred species of the agave plant. But, the most common species grows in the southern U.S. and Mexico. Most people think that agave plant is native to America, but in reality it is associated with Mexico. It has a deep history in that region. The local communities of Mexico have been using it for numerous ailments for thousands of years. They are the ones who introduced the exceptional properties of this plant. And, they still use it as an ingredient in their dishes. The agave plant is audible and nutritious. It is succulent and has thick, fleshy leaves. The leaves of almost all species end in a sharp terminal spine, which often baffles people. They create a misconception that it is a ‘Cacti’. However, agave is not related to cacti. It is not even related to Aloe whose leaves are quite alike in appearance. Is it healthy? Yes, it is. For that reason, it is attracting a lot of interest. It is gleaning the attention of those who are trying to fix up their diet. People, who are being diagnosed with diabetes, cancer, or heart disease, often rely on it. It doesn’t pose dangers as processed sugar. They can satisfy their sweet tooth, and keep their health up to the mark as well. Agave Nectar is the new obsession in the health food industry. Fitness lovers praise it and call it a great alternative that is naturally sweet and tastes like honey. Moreover, it doesn’t possess dangers like refined sugar. They use it to sweeten their beverages and food. In case you are thinking what is the different between agave and honey, there isn’t any. In a head-to-head show down, both are all-natural sweeteners better than white sugar. But, agave has some other external benefits, which honey doesn’t possess. Here is a look at the nutritional value and health benefits of agave. gaining popularity for all the right reasons. It is user-friendly, minimally processed, and the best thing is it has a lower Glycemic Index rating. A cup of white sugar is equal to 2/3 cup of agave. It is so much lower in calories too. It has in fact 300 fewer calories than sugar, and it has more nutritional values than you can imagine. Health conscious people use it to improve the taste of their tea, coffee, and food. Are you struggling with diabetes? Many health food advocates confirm that Agave is a perfect solution for it. Though, some people don’t agree with that because of rich fructose. But, on the whole, it is still better than refined sugar and other sweeteners. Health experts promote agave because of its low on the Glycemic index, which is its big selling point as well. The low Glycemic index doesn’t let it have as much of an effect on your blood sugar as other sweeteners. Ginn, nutrition and dietetics expert, explain this in the simplest words. The GI measure of agave nectar is around 32, on the scale of 0-100. In other words, it means agave alone won’t increase your blood sugar. However, the other components of food or beverages damage its impact. For example, if you are stirring agave nectar into your morning cup of tea, it is completely fine. But, if you are having toast with jam on it, your blood sugar will surge. It is because bread and jam have higher GI ratings. This agave plant encourage healing. It is still a traditional Mexican healing agent. It has antiseptic, wound healing, and anti-inflammatory properties. If you are dealing with open wounds or minor cuts, you can apply its leaves’ juice externally. It will not only cure them, but also provide relief instantly. The Aztecs and Mayans used its leaf juice too with egg white mixture to speed their wounds’ healing. In the ancient times, people in fact use these leaves to treat the snake bites too. If you are a person who struggles with skin burns and irritation, particularly in summer, it is for you. Apply it externally a few times; it will cure all these skin issues in no time. And, this is just the visible tip of an iceberg. Experts have confirmed that agave have the ability to treat constipation, jaundice, and scalp infections. Furthermore, it is a bad smell killer. Therefore, many people use this versatile plant in soap making. It contains saponins, which is known as a credible cleaning agent. Are There Any Warning or Side Effects? Well, the simple answer is ‘Yes!’ And, it is only because it is fructose-rich. Experts believe fructose converts into fat more quickly than glucose. For that reason, limited use is fine, but if you are planning to consume it consistently, it can lead to several alarming consequences. You will also be at risk of weight gain, especially belly fat. 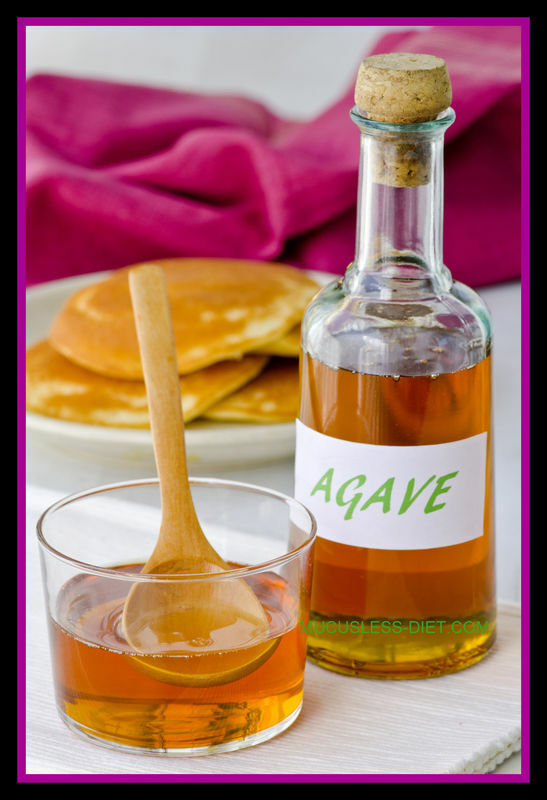 Besides, fructose of agave plant poses a danger to your cardiovascular system. It increases the risk for heart disease and metabolic syndrome. For example, too much consumption cause increase in uric acid, which is also responsible for heart diseases. Though, there are hundreds of benefits, if you use agave in a limit. But, calling it a clear winner among other herbs is a bit difficult. For external use, like skin burns, irritations, I’ll prefer it over other herbs without any doubt. However, I won’t be comfortable for using it as a replacement of sugar. Since, consistent use of it can invite health problems. Especially, in diabetes, it is a big no-no. The fructose can cause more harm than benefit for diabetic people. It cancels out its potential upsides indeed. According to health experts, as long as you consume fructose in moderation, you will be totally fine. The trick is to not overdo it.